Freshman kinesiology major Charlotte Rose is both an artist and a scientist at the highest levels of collegiate sailing and beyond. 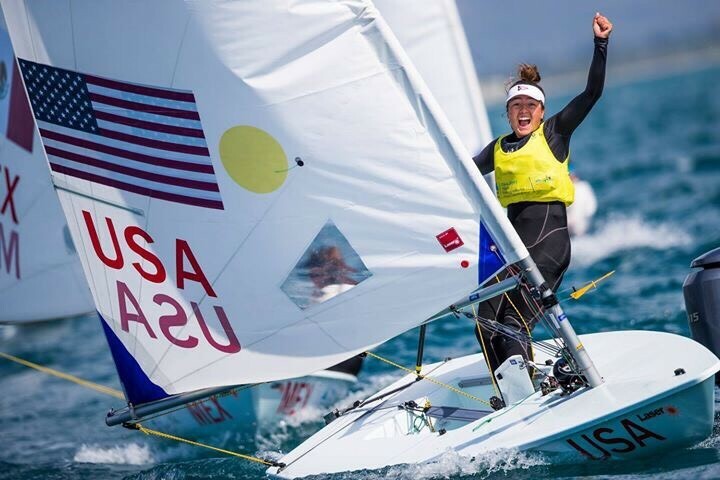 A two-time youth world champion, Charlotte heads to World Sailing’s World Cup Regatta in Miami this week. The outcome of this prestigious race, full of Olympic team hopefuls, will affect Charlotte’s worldwide rankings. In her fourth time sailing it, she aims for a new personal best and to represent Jacksonville University with excellence. 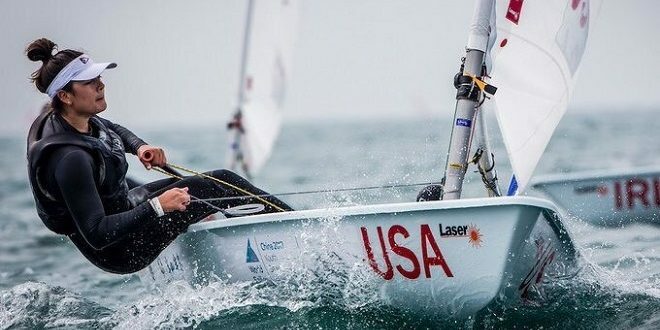 Since age 12, Charlotte has sailed the Laser Olympic class sailboat. She has competed in many regattas under the Texas Sailing Association and the Gulf Coast Youth Sailing Association, on range of waterways in Austin, San Antonio, Dallas, Corpus Christi, and Houston. Charlotte’s first national event was in 2012. 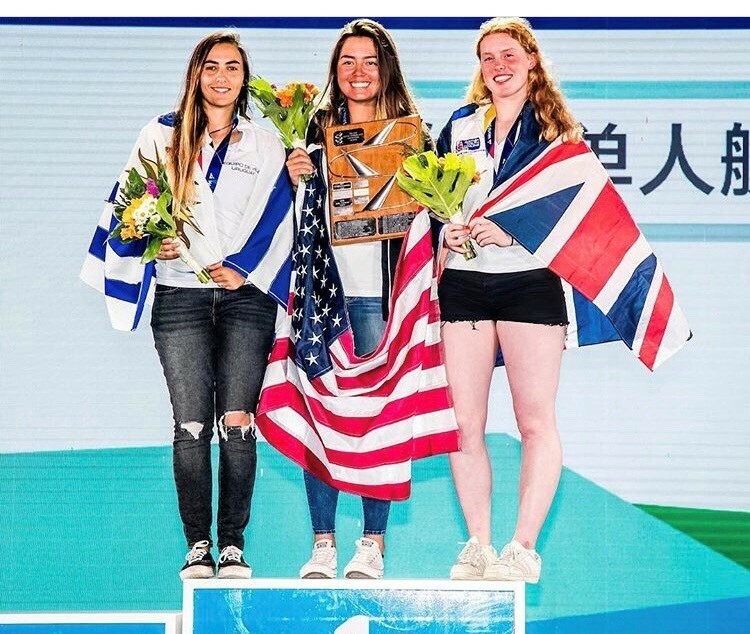 “I didn’t do very well,” she says with a wry smile, “and placed 75th out of 100 boats.” But her natural talent and work ethic quickly catapulted her to the number one ranking in her age group – first in the country, and then in the world. She made her international debut in Germany in 2015 and has competed in Canada, Mexico, the Netherlands, and China. Today, she competes within her age group and in open races against men and women of all ages. Charlotte’s racing record is full of big wins and triumphing over significant adversity. 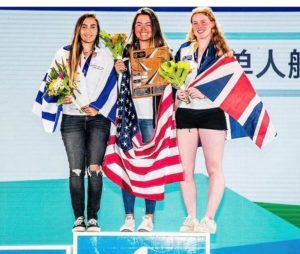 She represented the U.S. at the 2017 Youth World Championships in Sanya, China. Her battle for the world’s number one spot came down to the 10th and final race against the 2016 champion from Uruguay. “I remember being so tired those weeks leading up to Youth World Championship, with classes during the week, swimming lessons every day, and sailing all weekend.” It wasn’t until she crossed the finish line and saw the media boat cheering that she realized that she’d won. High winds. Two races per day. The best youth sailors in the world. On the fourth day, Charlotte discovered at the start line that the ratchet on her mainsheet sail – a critical part that controls the boat’s sail – was malfunctioning. “I didn’t have enough to time to change it out. It was a 45-minute race and so hard. My hands blistered and I really don’t know how I did it.” Even with the critical part broken, she went on to win both her final races and claim her second consecutive world championship. 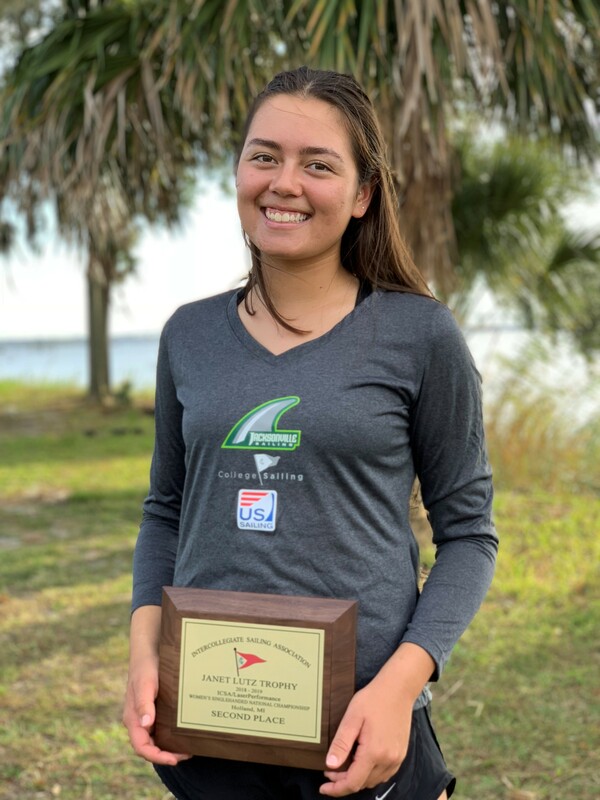 This past September, now competing for JU, Charlotte won the SAISA Conference Championships against the College of Charleston, the first time a JU sailor has won a conference championship. She qualified for the College Single-Handed Nationals, becoming one of 18 sailors from colleges across the U.S. to compete in November in Holland, Michigan. The week of the national championship regatta, there was a chance she might not be able to compete at all. “I woke up earlier in the week so nauseated, thinking I had food poisoning. So, I tried to eat and go to class, but ended up telling my professor that I needed to go to the hospital.” After a four-hour ER visit with IV fluids, tests, and medication, Charlotte was limited to a liquid diet. It wasn’t until the day of the national championship that she could once again eat solid food. She powered through eight cold, windy and wavy races on day one and was in fifth place overall. Day two brought winds gusting over 20 knots with flat water – and still she dominated the fleet, winning or finishing second in the final six races. Ultimately, Charlotte came within one point of winning the national championship as a freshman.